Don´t shout in the library!! 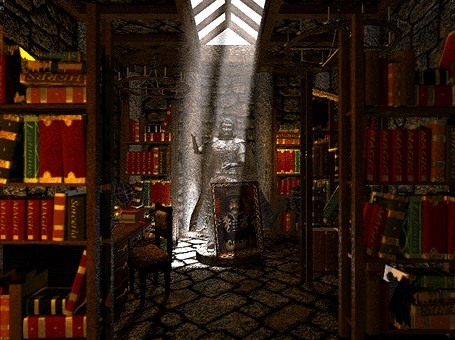 Welcome to our library....as you will be interested to learn, it dates back to the fourteenth century and displays an enormous amount of remarkable books, ranging topicwise from potions and spells to the history of witchcraft in general and the history of our academy in particular. For more fanfics: visit Angora´s site! More fanfics also on Moonbeam´s site!